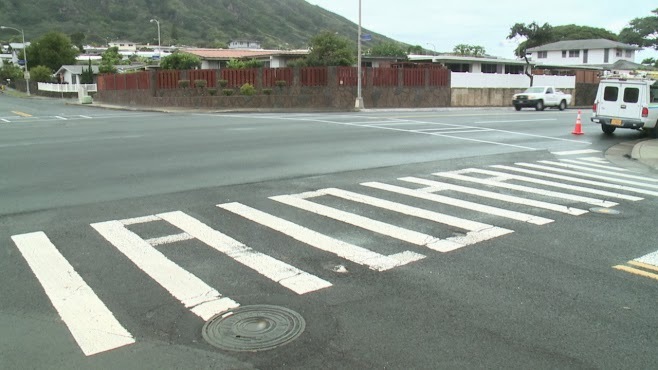 City officials in Oahu are up in arms over markings that have appeared in several local crosswalks in the last few months.Using white paint and a little creativity, someone has altered the city's standard zebra crossings to incorporate the message "Aloha" into the otherwise typical design. 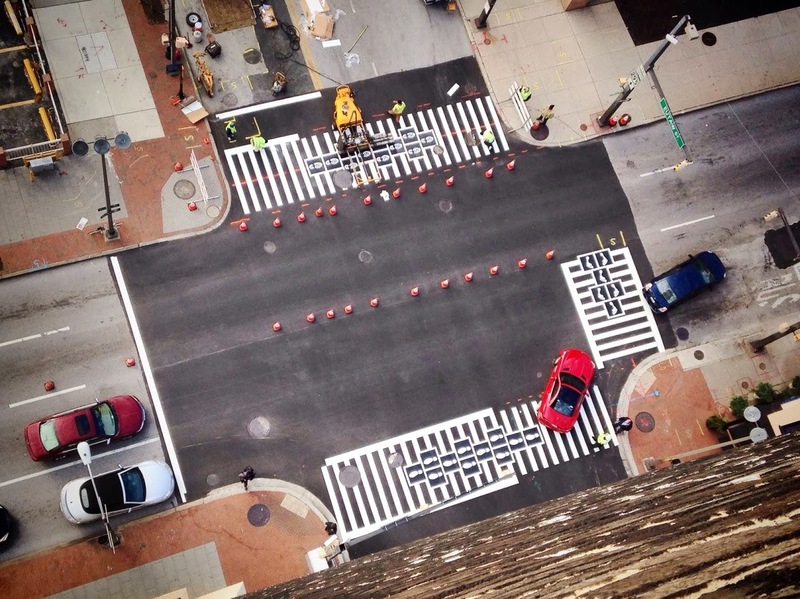 Non-standard crosswalk markings are hardly unique to Hawaii; cities all over the world use crosswalk design to shape community identity, draw extra attention to a pedestrian crossing, or just have a little fun, as in these new "hopscotch crosswalks" in Baltimore. I would love to meet the driver who would mistake the above crosswalk for anything other than what it is...because I would immediately take away their driver's license. Someone that obtuse should not be allowed on the road. Certainly there are no shortage of by-the-book officials who consistently mistake "innovation" for "danger"--that's one of the key reasons tactical urbanism exists, after all. But at least some cities (Raleigh, for example) are beginning to recognize that the guerrilla tactics of their citizens might actually lead to something good for everyone. Many Oahu residents have said they like the new crosswalk design, and the City could choose to work with residents to officially sanction the Aloha crosswalks (and maybe add a little more charm to otherwise dull crossings). Instead, Oahu is choosing to spend $4,000 a pop to "fix" the problem. Sorry Hawaii pedestrians, you're not getting any aloha in your day anytime soon.